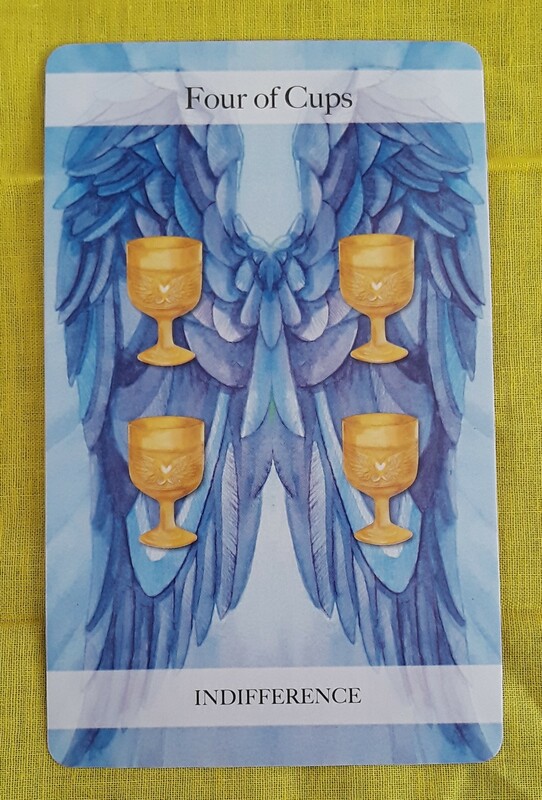 The Tarot card for today is the Four of Cups (Indifference). 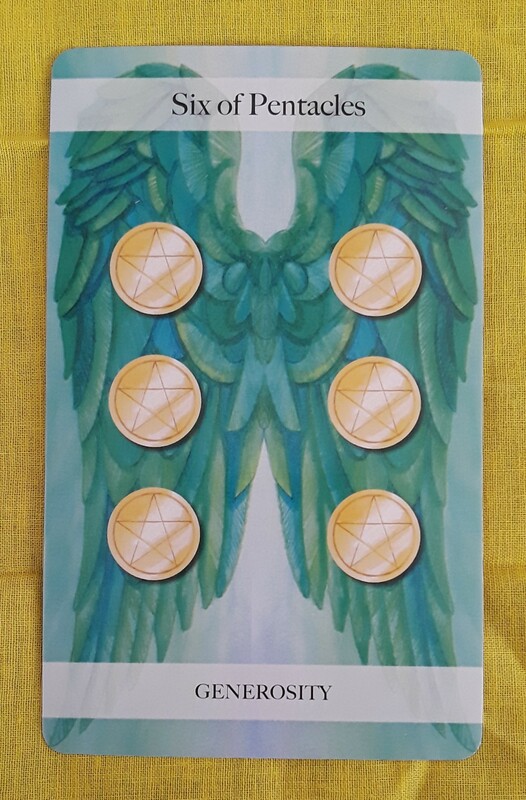 The Four of Cups is a card of emotional stability — maybe too much stability. If you need a break from your regular routine, then take a brief break. But also consider this: Do you get suspicious when things are going too well? (I admit to feeling this way sometimes.) Do you get bored when things are too quiet? 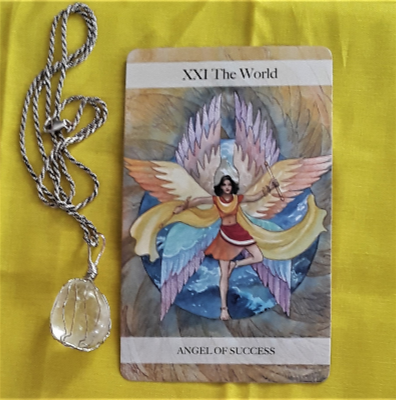 Ride out this low energy mood and perhaps you will soon see that life actually is offering you something good. 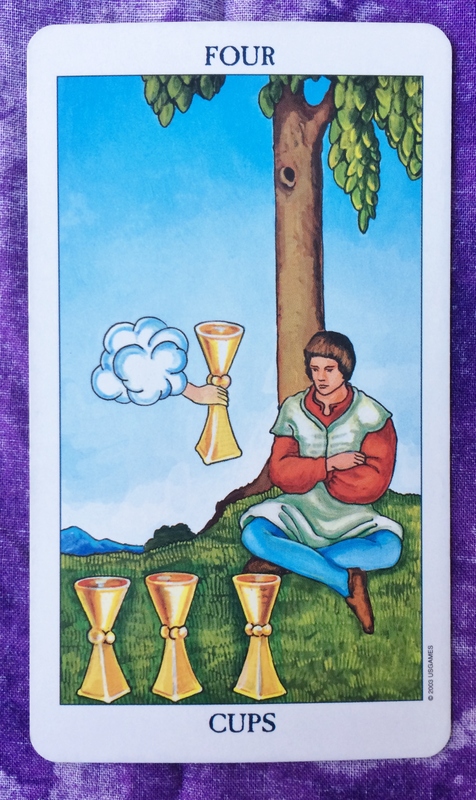 The Tarot card of the day is the Four of Cups. You may think that for all the effort you put in, emotionally speaking, things are not changing fast enough. You may want to give up or try something entirely new. Here’s the thing: If you need to, take a break — but don’t give up. Also, don’t go so deep into distraction that it ends up being harmful. Too much of anything — whether it’s alcohol, drugs, or meditation — can throw you off balance. Remember: Your life right now is better than it seems. The rewards are there; you just need to get through this slump. Don’t look at the cups as half empty. They are full to the top with clear water, so it may be hard to see.